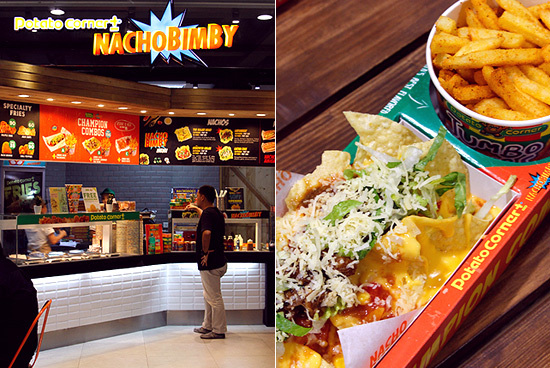 Potato Corner+Nacho Bimby combines two of your favorite movie snacks! 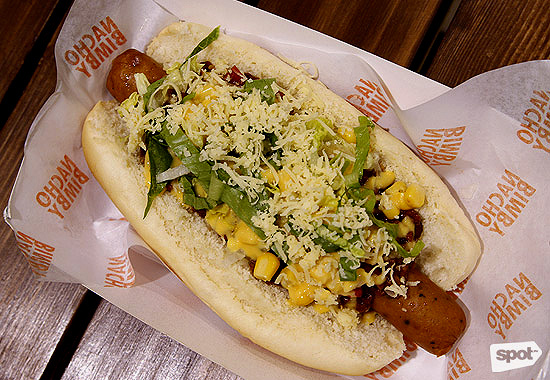 (SPOT.ph) We all have that no-fail food fix. For some it’s chocolate, others a good amount of cheese (on or with anything, really), or maybe even fast-food chicken. But then there are those who just want fries. Not just any type of fries, but the flavored kind. 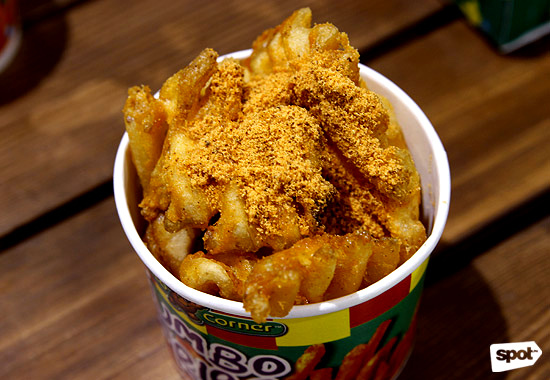 In Manila, only one name in the flavored fries game has made people giddy throughout the years, and that is no other than Potato Corner. This hand-painted mural by local artist Gina Bocar and her team will definitely catch your eye. 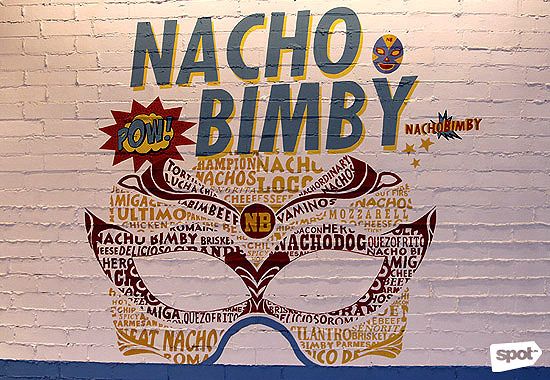 Their latest collaboration with Nacho Bimby has rechristened the potato favorite as Potato Corner +Nacho Bimby, which only means more fun for fries, nachos, and movie-snack fans. 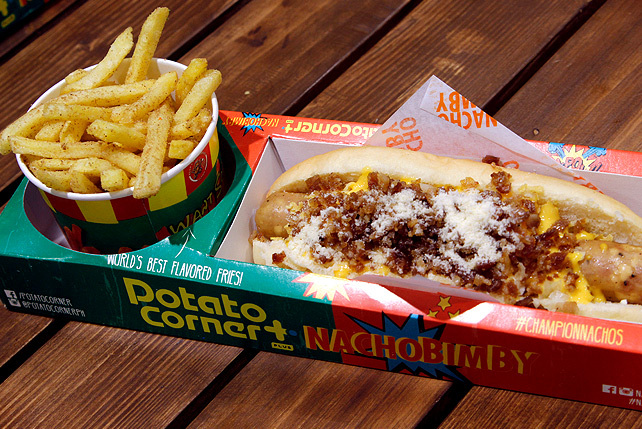 Think of it as your everyday Potato Corner stall, but this time with more flavors and food options. Their current locations at Promenade Mall in Greenhills (which opened in September 2015) and the newest addition at The Block in SM North (which opened on June 13) are exciting additions to the movie-going experience. Don't worry, you won’t miss your old favorites here. 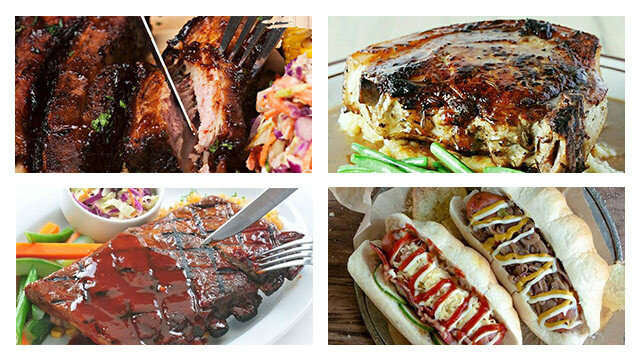 Cheese, BBQ, Sour Cream and the whole gang of classic flavors are still around, available in Large (P60), Jumbo (P90), Mega (P110), Giga (P180), or Tera (P210). But while we’re all used to seeing flavored french fries and hash brown in Potato Corner stalls, specialty fries also deserve your attention at Potato Corner+Nacho Bimby: Waffle Fries (P90), Jojo Chips (60), and Chili Poppers (P90/five pieces). 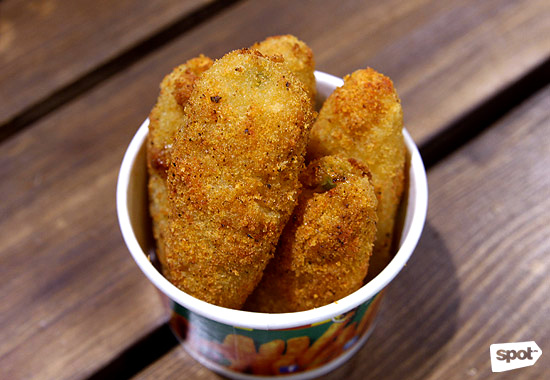 The Chili Poppers are especially gooey, addictive melted cheese enveloped in flavored breading. They’ll make you forget those fries even just for a while (especially if you get them hot and fresh with a smattering of barbecue powder). For days when you feel like being a bit of a rebel, Potato Corner+Nacho Bimby also offers exclusive flavors to go with your potato of choice: At the moment, you can go for Sweet Caramel or Salty Green Peas. Sweet Caramel might remind you of pancakes or waffles (trust us, it’s not strange at all), while the Salty Green Peas was especially made for those who just want a bit of salt with their fries. 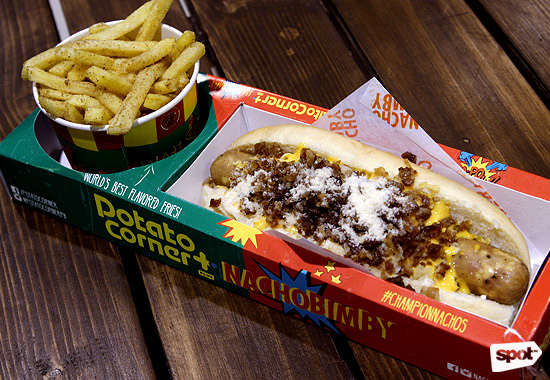 The Potato Corner+Nacho Bimby team says they're planning to introduce new flavors every six months, so you can look forward to something unexpected every now and then in their lineup. But the real stars here are their Champion Combos (P195). 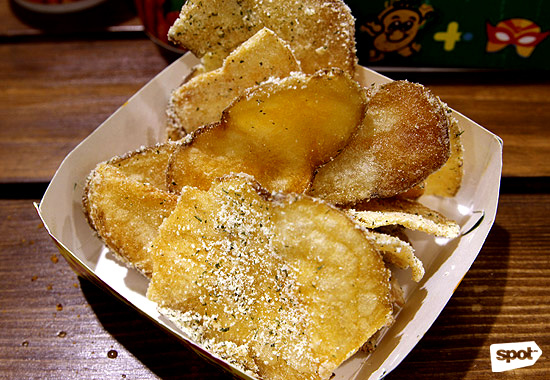 You have the option to pair your fries (you can choose any flavor your want!) with either a Nachodog, Quezo Frito (Nacho Bimby’s version of mozzarella sticks), or a Supremo LaBimbeef (which comes with pulled beef brisket and not the usual ground meat). The combos are housed in handy and brightly packaged boxes that you can share with a buddy...or maybe not because you might want to try them all. All sets come with Jumbo Fries, with the option of upgrading to Mega for P15. 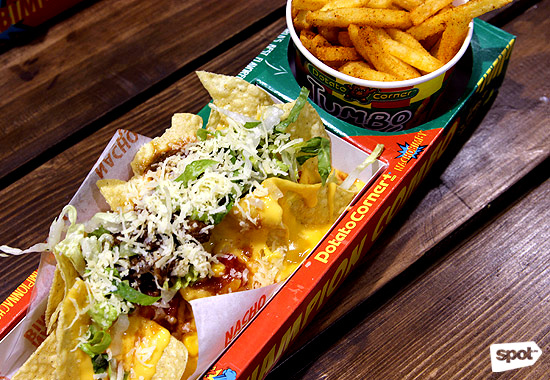 For nacho purists, you can still order them on their own, like The Killer Keso (P90/Supremo, P120/Ultimo), Señorita Salsa (P90/Supremo, P120/Ultimo), or Lucha Chix P150/Supremo, P260/Ultimo). 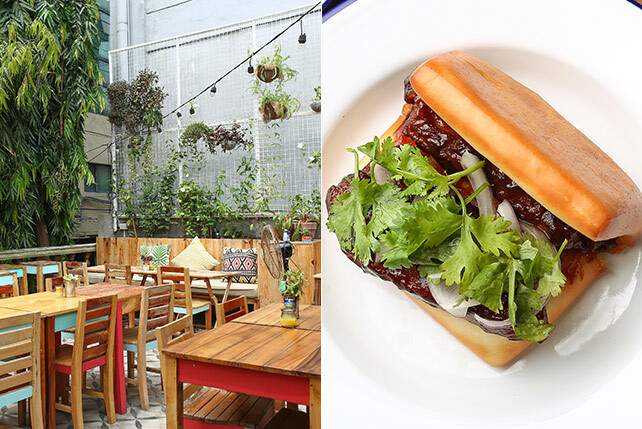 The LaBimbeef (P150/Supremo, P120/Ultimo), is definitely a crowd favorite. 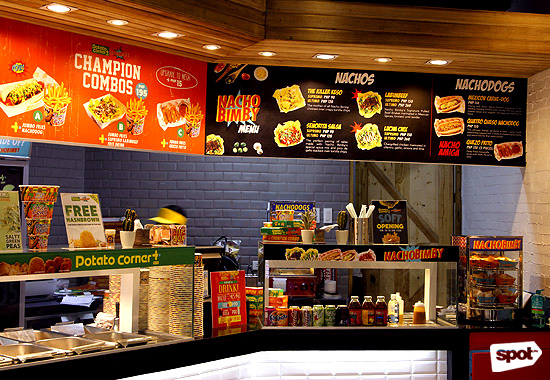 The Potato Corner+Nacho Bimby family is still growing, and they’re targeting September opening dates for some Megaworld malls. 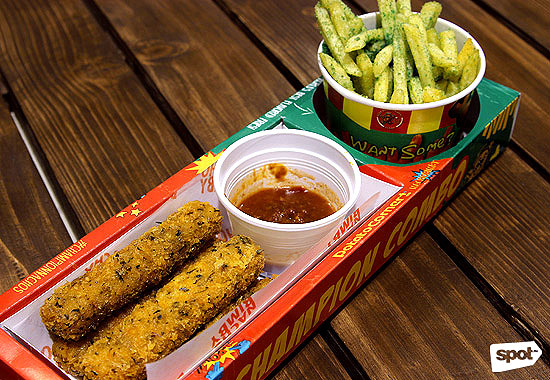 Surely your cinema-snacking habit will involve more than just a solo tub of fries from now on.